At this point in time, I had a deficiency of "straight six Vauxhall", so again, scanning Exchange and Mart, a chanced upon a Senator that required some work (head gasket) for the princley sum of �000. 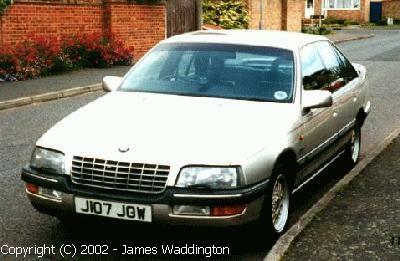 The cash was left and I returned with a Rover 827 and a trailer and dragged the car home. Over the period of 12 months, the head gasket was swapped and the car brought back to good order. This was the fastest SenatorI have ever owned and would out-gun my Father's GSi 3000 24V manual!! Agin, this car was sold on, due to lack of space.